Argentine striker Lionel Messi has requested the United Kingdom authorities to resume the search for his fellow countryman Emiliano Sala who went missing over the English Channel. 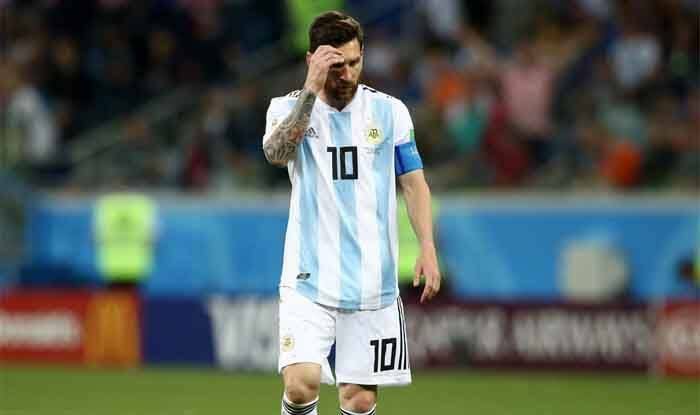 Messi’s call came a day after police on the Channel Island of Guernsey, a self-governing British Crown dependency, said that the search for Sala, 28, and the pilot of the single-engined Piper Malibu PA 46 aircraft was being suspended after authorities were unable to find any trace of the two missing persons or the aircraft, reports Efe news. “While there is the possibility, a shred of hope, we ask that you please #NoDejenDeBuscar (#DoNoStopSearching) for Emiliano. All my strength to your family and friends,” Messi posted to his Instagram account on Friday night. The small aircraft disappeared off radar screens on Monday at 8.23 pm, 24 kilometers (15 miles) north of Guernsey, flying from the western French city of Nantes to the Welsh capital, Cardiff. Messi was not the only from Argentina to condemned the Guernsey authorities’ decision to discontinue the search for Sala, as dozens of players backed the request of Sala’s family to continue the rescue operation. Chelsea’s newcomer Gonzalo Higuain, Gonzalo Martinez, who plays at Atlanta United FC and Bayer Leverkusen striker Lucas Alario, among others who joined the plea.